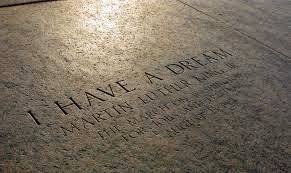 “I have a dream”… or I had a dream. I had a dream about the destruction of buildings and preservation of artifacts. In my dream it was brought to my attention by a third party, and I was saddened by this loss of history. Yet, I should’ve been delighted that some attempt was made to preserve part of the past. Sometimes it just gets frustrating with the destruction of so much of our history. Obviously we can’t save it all, so we must be selective about what we utilize our resources for. We can only allocate a portion of our time and money towards what to save. It is then a matter of prioritizing what has the most historical value, or that which faces immediate danger. Institutions such as the Library of Congress, the National Archives and Familysearch.org all face these concerns where they must focus their resources while recruiting volunteers to bring their goals to fruition rather than moving further from reach. Many of these preservation groups can be assisted through our financial assistance or our time. We can also donate to our local organizations and help to promote their cause. Don’t let destruction conquer, dream big and help preservation persist!